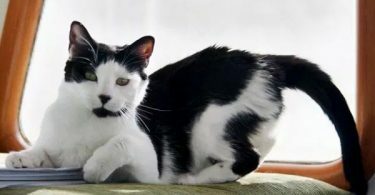 We may not be able to regrow limbs like frogs, and a cat certainly will never regrow her tail like a lizard if she loses it in an unfortunate accident. Nevertheless, as mammals, our capacity to repair wounds is remarkable. Cat wound healing stages are similar to what we see in dogs or ourselves. The beginning of each step is strictly reliant on completion of the previous one. Length and duration of different phases rely on several factors such as the feline’s health and nutrition and the wound’s infection and contamination status. Healing speed can have interspecies differences that are tied to variations in biological mechanisms within certain stages. Wounds refer to external injuries to the skin and sometimes structures beneath. They range from superficial to deep and can be simple or complex. Complications that may impede wound healing include infection and trauma to blood vessels. A laceration is simply a cut. The edges of the can be sharp and smooth, as occurs from glass, or rough and jagged like a tear from a fence. Dog bites often can present as lacerations. Lacerations many times have large relative surface areas and therefore are readily contaminated. Lacerations can penetrate body cavities, like the chest or abdomen. Such wounds necessitate emergency care and extensive management. Basically, a surgical incision is a laceration made under doctor supervision and for a medical purpose. The unique phenomenon of this type of wound is the operator’s care not to introduce any contaminants or agents of infection. According to Veterinary Practice News, Incisions are closed immediately after the surgical procedure concludes. To qualify for primary immediate closure they must be clean-contaminated (minimal contaminants) or sterile(no contaminants or bacteria). A burn can occur from fire or corrosive substances like bleach or acid. They can be superficial in nature or can disrupt all layers of the skin and underlying structures. Burns must be carefully managed because if extensive they can lead to systemic infection. Smoke inhalation can be a larger cause of concern for cats than skin burns. Both injuries often require emergency veterinary care. An abrasion is a superficial scrape or scratch whereby the only sign is often hair loss and slight redness. Abrasions must be monitored for a few days for signs of more extensive injury. Sometimes there is a puncture wound at the end of a scratch that is not initially visible. A puncture results from a hole created by a sharp object of varying sizes. Depending upon how &quot;dirty&quot; the object is, these wounds can be the most susceptible to severe local infection. Often a small hole will close quickly and trap anaerobic bacteria (microorganisms that thrive in an oxygen-deprived state) under the surface. These types of wounds actually present commonly when cats sustain bites from other felids. Degloving or avulsion in cats can be as dramatic and life-threatening as severe burns. It happens when a large section of skin is forcibly removed. It is an injury that severs blood vessels and nerves and damages underlying structures. Degloving injuries are most prevalent on the tail or limbs of cats but can also happen on the trunk or face. They are most commonly seen in cats that have been hit by a car. What are the four stages of cat wound healing? According to Merckvet Manual, Scientists and medical practitioners think of wound healing in a number of Phases. In fact, we can divide cat wound healing into four major stages. Inflammation involves major events of the blood vessels, known as hemostasis. First blood vessels allow pooling of blood and lymph material into the injured area. Then they immediately constrict. This natural phenomenon controls hemorrhage when a traumatic skin injury first occurs. It will last five to ten minutes. Minutes after constriction, the blood vessels reverse, dilating. This is responsible for the swelling and redness so commonly associated with inflammation. However, what it actually does is to enable blood clots to form, activate platelets, dilute toxic substances, and deliver nutrients to the affected area. Along with the nutrients come white cells such as lymphocytes and macrophages. The increased blood supply also brings cytokines and growth hormones, biological chemicals important in wound repair. The peak of the inflammatory stage sees platelets releasing compounds to activate epithelial cells. These cells then migrate from wound edges to the open area along with the blood clots (fibrin and platelets) to initiate scab formation. Debridement occurs naturally and is the removal of foreign material (bacteria, dead cells, and debris). Specific white blood cells (mostly macrophages) attack and engulf harmful substances that can otherwise cause infection. Macrophages also secrete enzymes and other chemicals to digest the damaged tissue of the wound bed and any other debris like fur or gravel. This clears the path for healthy new cells to move onto the site. Repair occurs on a cellular level like the other stages of wound healing. The body begins laying down a bed of collagen fibers. Cells start reproducing and move in to replace damaged tissues. The blood supply is rebuilt or supported with small capillaries, all necessary to provide vital oxygen for new tissue growth. The reparation stage can be broken into three phases of its own. Granulation tissue is the first sign of wound strengthening we see after the initial injury. Capillary endothelial cells (cells that line the inside of vessels) appear on the wound surface along with fibroblasts. Fibroblasts produce collagen which eventually replaces fibrin in the wound. Collagen production begins three to five days into the healing process and peaks on day nine. Collagen synthesis remains high up to five weeks later. As the wound fills with granulation tissue, collagen production gradually slows. Granulation tissue is important in the early stages of wound healing in cats because it is a barrier to infection and provides a bed for new epithelial cells. Some of the fibroblasts involved in collagen production have contractile properties. Their jobs are to shrink the wound surface and opening. Their effects act on skin edges and underlying tissues and muscles. They pull everything closer to the center of the wound. The result of wound contraction is that migrating epithelial cells have a shorter distance to span in order to cover the exposed granulation tissue. Likewise, production of epithelial cells and connective tissue accelerates to compensate for the thinning skin around the contracted wound. In this phase, epithelial cells proliferate from skin edges around a contracted wound into any opening. Once epithelialization starts, granulation tissue growth inhibition begins. The process usually takes days to weeks. In wounds where the surface is too large to bridge, epithelialization will be much slower and in some cases incomplete. This stage of wound healing will also be largely dependent on how healthy the granulation tissue is. The epithelial scar, or a new layer of epithelial cells, must be treated with care as it is easily disrupted. Improper bandaging can reverse epithelialization. Maturation involves remodeling of the collagen, strengthening it in the area of the wound. The wound has become a scar and in this stage, the much stronger Collagen I replaces Collagen III. The final stage of wound healing is a prolonged process and begins about two to three weeks after the initial trauma. It can last several months up to two years. Even after all this time, the healed scar will never be as strong as the original tissue. Most of the time healed wound tissue only regains about 80% of the strength it had before the injury. After maturation, the wound undertakes classic characteristics of permanent scar tissue. What is the first intention versus second intention healing? This refers to the surgical closure of wounds. If circumstances permit, a surgeon can greatly reduce a couple of the stages of wound repair. Candidates for immediate wound closures must present with no infection and minimal contamination. A practitioner will evaluate whether attempting to close a wound will put too much tension on the surrounding skin. This could potentially compromise tissue and lead to skin necrosis. A surgeon will cleanse the area to be closed. This can involve lavage (flushing with a saline solution), application of drainage tubing, and surgical excision of necrotic or devitalized tissue. It always necessitates clipping surrounding hair first and is performed under sterile conditions. Surgical cleansing replaces hours or days of naturally-occurring debridement. First intention healing also eliminates the granulation stage of wound healing as the surgeon brings skin edges together after thorough preparation and joins them with sutures, staples, or glue. Where surgical intervention is deemed necessary in second intention healing, care must be exercised to leave as much of the subcutaneous layer intact as possible during debridement. According to a study by Mark Bohling, extensive removal of the subcutaneous fat layer is linked to significantly delayed second intention wound healing in cats. It has no effect on primary wound closure. Second intention healing will take much longer than the first intention, but medical practitioners can move it along faster than the natural biological process. Debridement is the wound healing stage that benefits the most from our intervention. As in surgical wound closure, we can facilitate wound debridement with the use of Penrose or other indwelling drains and lavage. The goal is to remove all gross evidence of contamination such as gravel, sand, or hair. Pus needs to be addressed as well. Lavage often is ideal for flushing out contaminants. Debridement also includes surgical removal or excision of visible dead tissue. Sometimes this process is conservative to limit the amount of wound that is exposed. It can be performed over several sessions, especially in distal extremities according to Dr. Ashley Magee who published several case studies. Surgical debridement does require care and finesse. Overtly aggressive work with the scalpel and other instruments can damage tissues and blood supply required to establish a viable granulation bed. Good debridement techniques allow the fast formation of healthy granulation tissue. This new tissue is characteristically bright pink to red in color and bleeds quite easily. It is moist and therefore can appear to be constantly seeping. These are all normal signs of progressive healing. Wounds heal best under damp conditions. We can keep open areas hydrated during second intention healing with the use of ointments or an antibacterial sprays. Most wounds are bandaged when trying to heal by secondary intention. Tertiary intention wound healing combines the concepts of primary and secondary wound closure. A wound that is too large or too contaminated to suture immediately can be managed through second intention healing until the contraction phase. Once the wound becomes small enough, excess scar tissue can be removed and the skin then closed by primary intention. This also can be thought of as delayed primary closure. Highly contaminated abdominal wounds are also managed by tertiary intention healing. Clearly, the abdominal cavity cannot stay open forever, but it can be managed until an infection is eliminated by secondary intention healing factors and daily debridement. What is the role of skin grafts in cat wound healing? Medical professionals will consider skin grafting when a cat’s wound involves enormous sections of missing skin. Flap grafting or island grafting (isolated grafts) are two possible techniques. A skin graft is a drastic measure and generally only considered when simpler options have been exhausted. As for first intention healing, a skin graft must have a non-contaminated and uninfected anchor. Often some second intention healing is still necessary. Skin grafts may be harvested from the individual (autologous grafting), from a genetically identical sibling (isogenic), or from another animal of the same species (homograft). Prosthetic grafts (acellular skin substitutions)can provide a viable option as well. Drawbacks to skin grafting are the expense and the possibility that it will need to be repeated. Sometimes skin grafting gives cat owners long-term affordability when compared to some intensive management requirements of second intention healing with constant bandaging. What can you do to jumpstart cat wound healing stages? The following YouTube video outlines some important steps you can take if you notice your cat has sustained a wound. Your actions in the first few moments can pave the way for smoother healing and faster recovery. Try to keep your cat as calm as possible. If you notice bleeding, apply light pressure using a clean cloth or gauze. Maintain for several minutes. If you discover a wound, try to clean with a mild soapy solution if your cat will tolerate it. Seek veterinarian attention. Follow all medical instructions when the hospital discharges your cat. Your veterinarian will take steps to prepare your cat’s wound for the healing stages also. As stated in DVM360, the primary goal of medicine and surgery in wound closure is to facilitate a natural process with the least amount of interference possible. Preliminary exam – the initial workup involves a quick assessment of the issues that demand immediate attention. Primary goals are to establish hemorrhage control, vascular stability (i.v. fluids if necessary), and an effective airway. Patient stabilization – once the patient is stable, a proper evaluation of the wound itself can begin. Many cats with skin wounds are stable on arrival. Your veterinarian will also check for other wounds. 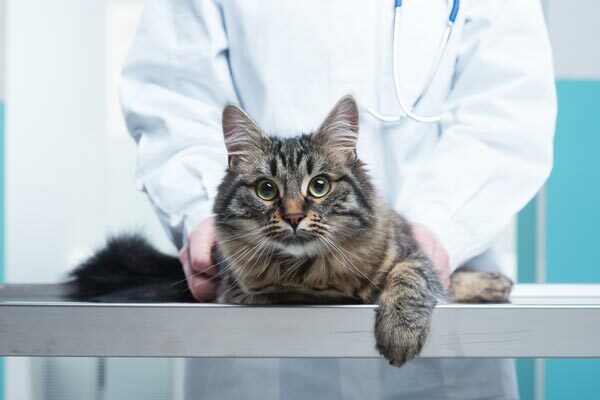 Wound preparation and analysis – finally the veterinarian can make a decision on how to best aid in the wound healing process your cat has already begun. During this process, the wound is covered as quickly as possible to prevent further contamination from the clinical environment. What are some basic facts of wound healing in cats? Wounds can on the first exam appear much less serious than they actually are. Cats are very small relative to other carnivores and to the world around them. Thus they are vulnerable to crushing-type injuries. Cats that are struck by vehicles or bitten by dogs may have an obvious open wound; bruising and compromise to blood structures may only become evident hours later. Wounds that affect the muscular structure in cats must be addressed immediately and aggressively. The enzymes released by damaged muscle can have serious consequences to vital organs of cats. Dog bites are particularly serious as canines are known for gripping and shaking. Often the only outward initial sign is a puncture wound or laceration. Cat wounds may heal slower than those of other species. A study by Bohling DVM et al showed that cats initially healed slower than dogs. They produce much less granulation tissue and exhibit less epithelialization over 21 days. Wound contraction, on the other hand, produced interesting results. On day 7 dogs showed more dramatic wound contraction than cats, but not on day 14 or 21. A cat’s mechanism of peripheral granulation tissue formation (granulation occurs at the edges of the skin) contrasts the central granulation tissue production observed in dogs. However, the cat’s wound contraction appears to catch up with that of dogs two to three weeks into the healing process. What does this mean for cats? Extra precautions should be taken for cats to ensure their wounds and/or suture lines have sufficient time to properly heal. Much data about wound healing and strength is based on dogs and may not accurately reflect what happens in cats. Infection and contamination impede wound healing. This is why debridement and the cat’s immune system are of paramount importance in wound management. Kittens under six months of age heal faster than other cats, and younger individuals experience faster-wound healing than elderly felines. The immune system changes as cats age. As it becomes less efficient, the initial inflammatory stages and the debridement stage can become compromised. Metabolic illnesses like diabetes can delay wound healing. Malnutrition, steroid use, organ failure, and obesity all cause similar delays of wound healing in cats. The time a cat is under anesthesia can significantly affect wound healing, according to Veterinary Surgery 48, because it leaves them more susceptible to infection. This study focused on clean-contaminated wounds, but anesthetic stress may be similar to stress brought on by an endocrine disease like diabetes. Wounds heal from side to side. The length of a laceration, for example, does not affect the amount of time it requires to heal. What are some topicals that enhance wound healing? There is a slew of new products every year formulated to help speed up the healing process in animals. Your veterinarian may even use one as an under-bandage dressing for your cat. They generally work on one stage of wound healing or another and mostly with the inflammatory or granulation phases. Some also inhibit infection. Most topical products for cats should be used with caution. Let your veterinarian perform the research and use his or her product knowledge to determine safety and efficacy. Some topical wound healing creams or sprays can be unpredictable. If your veterinarian does prescribe or recommend a regenerative dressing specifically to help with a phase of wound healing, use it exactly as directed. The same qualities that make cats skillful small animal predators and adorable interactive companions also make them susceptible to injury. Outdoor and indoor cats can experience minor skin injuries, whether from playing with their housemates, squeezing through small spaces, or jumping onto the wrong surfaces. 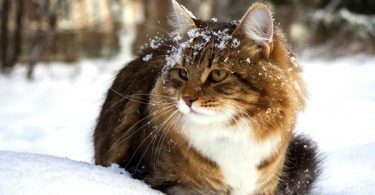 Outdoor cats face particularly hostile factors, like fast-moving vehicles and large dogs that can cause catastrophic wounds. An understanding of wound healing stages and treatment protocols provide useful background to ensure that our cats receive optimal care and move back to normalcy as quickly as possible after the injury.